Five of what I believe are the most popular budget-fi IEMs compared. -Scott Rowley. 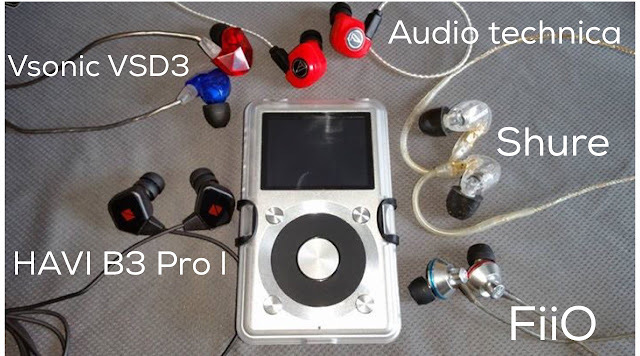 Five of what I believe are the most popular budget-fi IEMs compared. All of my listening was done on the FiiO X1; for this review. All impressions of the IEM will be from having it paired with the X1, the EQ is off and volume was adjusted for each IEM so they would present an equal amount of energy as perceived by my ears. The IEMs have had no modifications, using original cables and also using the original factory tips. Bass: The SE215's bass is very much there and it has power, but lacks impact. I find bass to be present enough, while still being heard clearly. It's not the most detailed, but it does have pretty good control. It's not sloppy or all over the place. Overall, bass is good on the SE215. Highs: Yes, the highs are somewhat recessed compared to the bass and midrange. No, it's not the most resolving treble you'll ever hear. But it's not bad. Some cymbals can sound recessed and missing some detail. The highs aren't bad; just lack sparkle. Soundstage: These have very narrow soundstage both vertically and horizontally. Due to the fact that these IEMs lack extension, and for the most part is a very mid focused with everything sort of congesting in the centre. The sound is in your face and does lack transparency. This does not give you a 3D feel but a more 2D, left and right panning. Bass: The bass of the IM70 is quite prominent. It has some boom and impact to it, but remains in control. The lower range will bring a smile to the face of anyone who likes a nice and controlled low end. Bass can be a bit forward at times, but for the most part is well balanced. Treble: Treble is very detailed and extends well, while remaining smooth and inoffensive. Some sibilance can be heard but rarely comes through and there is no treble fatigue. The treble seemed smooth and detailed to me and comes through clear. Soundstage: The soundstage of the IM70 is quite realistic in its 3D presentation. It’s by no means the widest, but has excellent depth and height for an IEM. It’s not at the level of an amped Havi B3 Pro 1, but provides a wonderful stage with splendid separation and imaging for the listener. Bass: The bass is done tastefully and well executed. It has sub-bass boost for that all-important rumble. It's clean, fast, and manages a good balance between quality and quantity, giving up just a bit of fun for detail. It isn't boomy or impactful but creates an excellent energy. Mids: The mids are slightly recessed, but not terribly obvious. Detail is certainly there, but lacks the smooth, liquid and intimate vocals that I prefer. Treble: The treble is upfront, with great clarity that is extremely good. You hear nearly every nuance and detail of the music. The EX1 extend far without effort. Notes are extremely airy and very crispy. Soundstage: Most likely as a result of its semi-open design, the EX1 has very good soundstage. While not the widest, it has good height, depth and width. Imaging is good, and instrument separation is excellent as well. I was easily able to pinpoint the locations of various instruments. I’ll say it again It’s not at the level of an amped Havi B3 Pro 1. Bass: The bass has plenty of weight and punch. It’s a bit on the slower end, making it very smooth and meaty. It has a full bodied, thicker sound. The bass is well extended but is a bit on the boomier side, which leads me think that this IEM is more suited for mellow, soulful music, but it also plays all genres very well. Mids: The mids here are a bit forward. They are not bloated and are very well integrated. It’s very natural and relatively clear, but because of its warmth and bass weight, its clarity does take a hit. Soundstage: It’s wider than average but not by much. At times with faster music, along with the bass, the soundstage can feel more “stuck in the head”. The separation and imaging is just slightly better than average. Bass: The bass on the Havi B3 Pro 1 is really flat, organic, as well as very fast and tight. The bass here will not satisfy bass heads, but if you want high quality, versatile bass, the Havis will give you plenty of that. Mids: Sound natural and have excellent clarity, and are great at reproducing micro details so well. Vocals carry some warmth and have a intimate and enveloping feeling to them, I can easily get lost listening to them. Treble: The treble is very revealing with great extension and has great sparkle to it. The treble is not harsh either. I like the treble, and is natural and is beautifully executed. Soundstage: This is by far one of the most open sounding IEM, I have ever experienced, a real out of the head experience. It has a very 3D soundstage; you can place instruments either in front or behind one and another. It does make every song sound bigger and more expansive, this might not be the most natural soundstage but its imaging is just pure enjoyment. I know you will say they all good but which one is ranking number 1 ?